I think they are wonderful! I love the colors, actually, the cream and gold. And it's funny but when I bake my macs the ones all around the edges of the baking tray come out warped though the lopsided is kinda funny, I must say. Thrilled you joined us for Mactweets with these fabulous macs! I tried my first macaron ever a few days ago and I wasn't impressed. But I'm willing to give it another go just to be sure. But bakingmmy won is a whole other story. Glad you've overcome that hurdle and here's to many more macs! 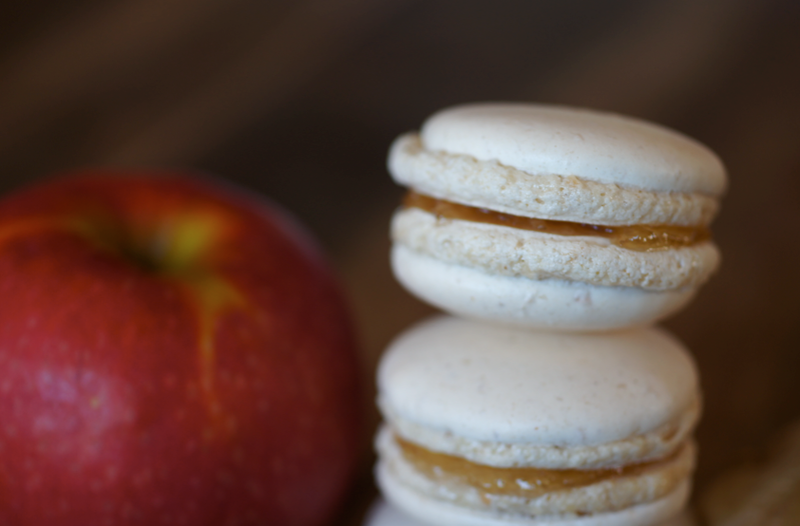 So glad you jumped on the bandwagon and decided to join us at MacTweets!These are gorgeous flavours, and I love the rustic charm the lopsided ones offer. LOVE THEM!! I have plenty of lopsided ones too and I think Jamies hit the nail to say its the ones on the edge. Great flavour combination and perfect fit for the months theme!! Hooray for joining Mactweetes. I love that last lopside one, they joined together perfectly, like you'd planned it all along. I made ginger shells too, and I just added the dry, ground ginger to the almond meal mix without bothering to remove any of it first. I think about 1 tsp or two here or there is fine, but I guess it depends on the ingredient. Spices seem to work ok but green tea does seem to warp the balance a bit. 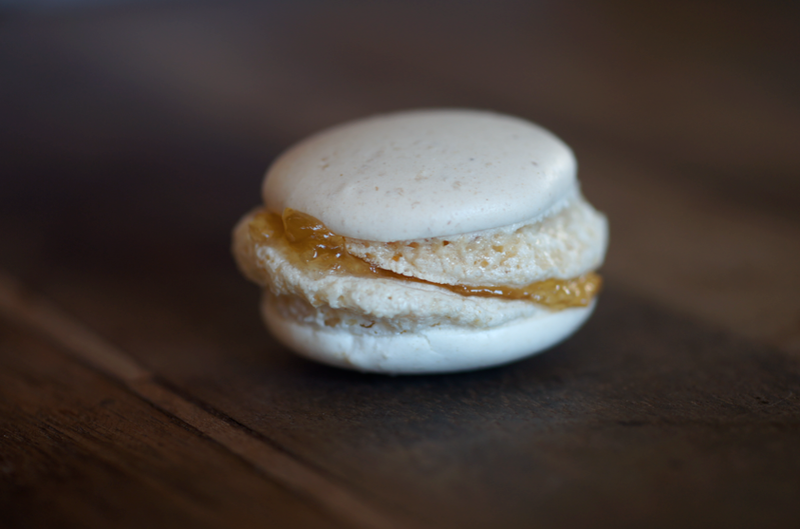 Looking forward to more macarons on your Mactweet journey. Those are some lovely macarons and the lopsided ones are lovable! Apple and ginger is a beautiful flavor combination. Being part of MacTweets gave me the motivation to start making macarons. I still make tons of bad batches but mostly have fun doing it. I used to the failures and learned take them in stride. Jamie - Thanks! These were the only 6 shells that weren't awfully lopsided so it wasn't just around the edges for me - ma needs new pans I feel. At least they taste the same! Sukaina - They're not my favourite pastry to eat either - I need something sharp or spicy to counteract all that sugar. They're a good challenge to make too. Deeba - Thanks for letting me join and your lovely comment :) It was a great theme - challenging but fun. shaz - Haha I know, I couldn't have made them do that if I tried. That's interesting, nect time I might try it that way. I remembered something Helene had said about powdered food colouring being a bad idea because of the extra dry. Lora - It's definitely good motivation - I would probably have left them for ages if I hadn't joined. Learning to accept failures is top of my to do list! Though I didn't get too upset about these actually. Just like the leaning tower of Pisa - perfect!!! What beautiful macarons! Those are great flavors. I just have so much fun experiment with various flavors... 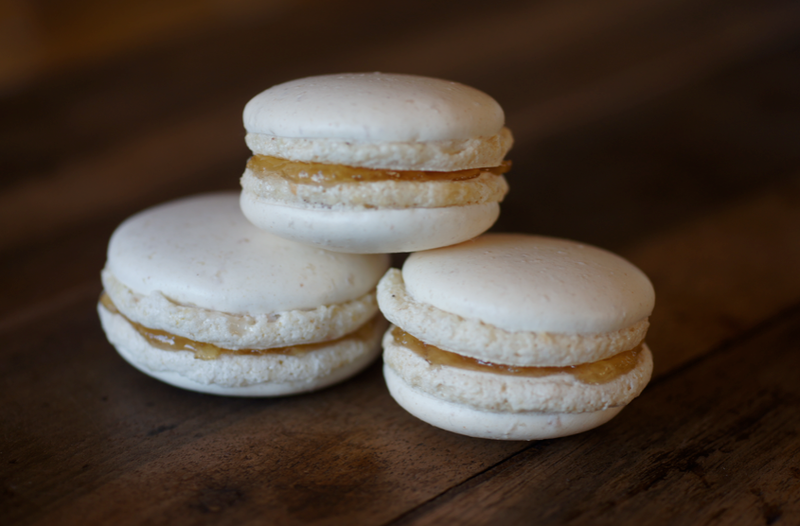 I use this one recipe that yields the best results each time, later I bought powdered egg whites and get a perfect macaron each time, but I still fail every now and then.. they are truly the most temperamental pastries. Ha ha--we get lopsided macs, too. 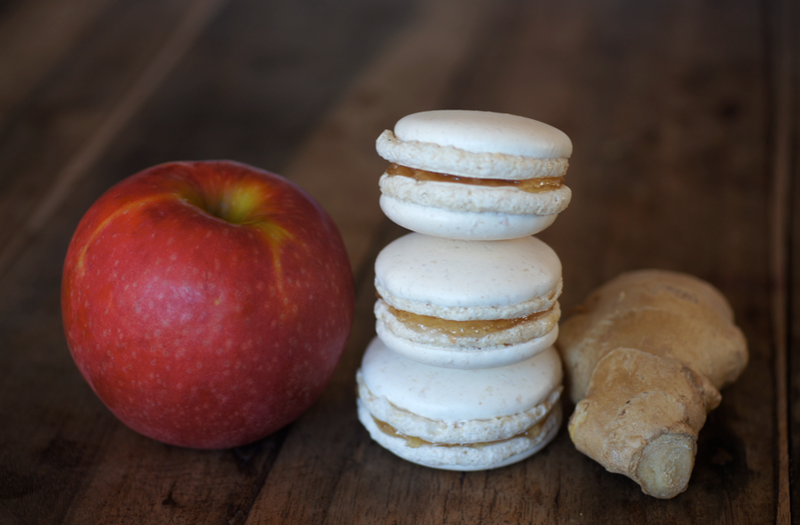 Your macs have a comforting flavor combination. 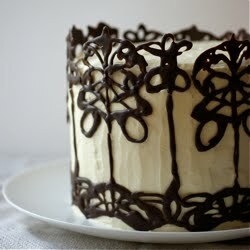 Deliciously beautiful! subject but usuallly folks don't spek about such topics. tools. Here you should keep your Security type as automatic. in between you and somebody you satisfy this Halloween. You are extremely delicate and impressionable at this time. with the help of these online marketing strategies. sell you mailing lists or stuffing equipment or whatever. works the same way. The slurry was so thick, that the drain water only had about a quarter inch opening to pass through. modes of entertainment as well.